Green Velvet, initially created by house don Cajmere (AKA Curtis Alan Jones) as an outlet for his non-vocal productions and frequent DJing gigs, grew to become even more popular than the man himself, thanks to club singles like "Preacher Man," "Flash" and "La La Land." Change has been a constant theme throughout the successful career of Green Velvet, but as he has crossed genres, the common thread running through the music he has made for nearly two decades is its roots in and dedication to the Chicago House sound. As Cajmere he made his first musical mark back in the early 90’s with “Coffeepot (It’s Time for the Percolator)” after ditching school half way through a post-grad in chemical engineering at UC-Berkeley. Up until then, music had been a hobby fueled by cobbling together tracks on a “sixty buck keyboard, a cheap four-track and a cheap drum machine”. 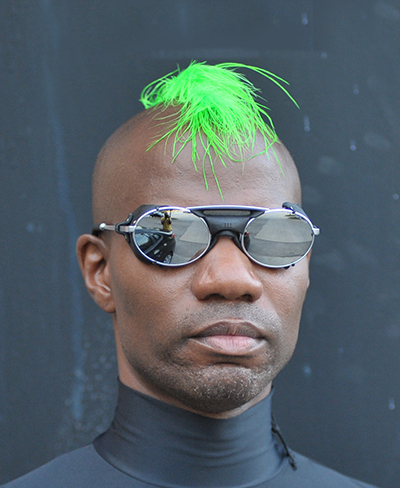 When he emerged as the flamboyant, neon-haired Green Velvet the shock-waves reverberated throughout house and techno scenes the world over. This elaborately garbed, lyrically wild creature put his hometown back on house music’s production map.